THIS INFORMATION CAN BE READ ON ANOTHER FORUM, WHERE THE TRANSLATOR NOW RESIDES.... , AND IS UPDATED. BTW, nice work on all the info. Thanks mate, it plays and feels the same as the EGF-850 I once owned, the sound is very similar too! I just love the 59 necks. Nice guitar. What i find interesting is that urethane is poly urethane and poly urethane and nitro celluose just don't mix well at all. Actually in the MSDS, it recommends they not be used together at all. Another point is that poly, acryllic and nitro are all lacquers but use different solvents making some of them impossible to use together, like acryllic and enamel. I would like to know exactly what they are using. I have read that its some different type of finish they refer to as nitro which in fact isn't really nitrocelluose lacquer at all, nothing like the Nitro Gibson and fender used originally, which is true Nitro celluose lacquer. fantastic info. 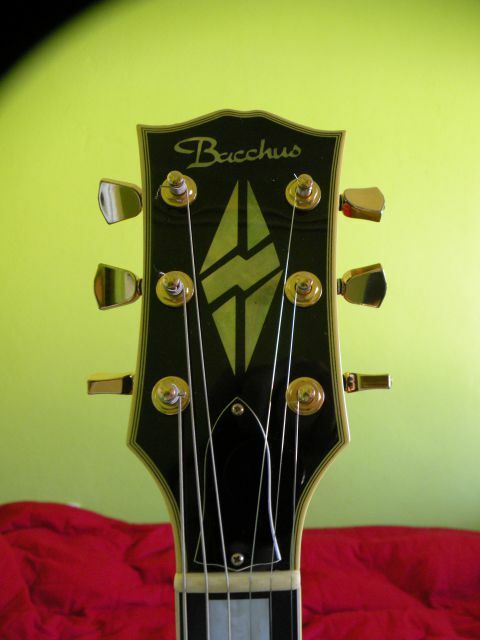 so basicly serial number system should work also for BLC guitars? I have one BLC140 and was always interested when it was made. 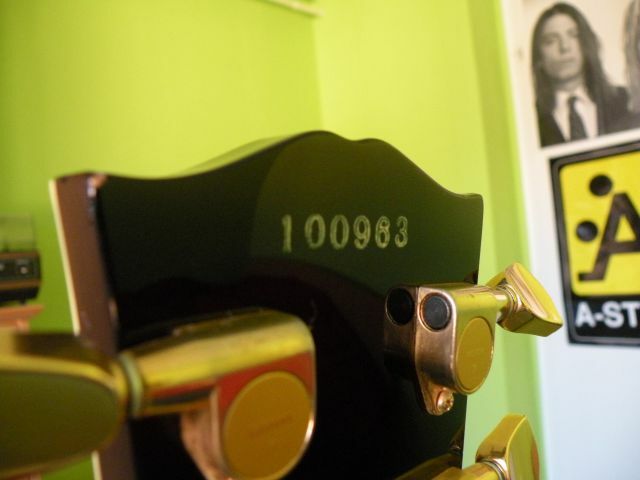 Yes, the serial numbering is done as the guitar came off the production line. Does yours have a soft V on the open book headstock or a sharper V? and the serial is it higher or lower than mine, maybe around the same era? AFA your info is concerned, then where in the time line would this one (100357) fall in place? Hi, yours looks very much BLS-59V, more Gibson open book headstock , timeline would suggest between 1994 and 1998, my guess would be maybe 1995/6 with that serial? Hi, only slightly higher, I would suggest between 1998 and 1999, I will ask Deviser more about serial numbers, if it is possible to ascertain which serials for which years, a big ask i think, (due to different quantities of different models made), i will post the reply. BTW, Cool Black Beauty! excellent. are you familiar also with strat s.no? I have two Bacchus strats and would really like to know when they were made. Yes, I am getting information about the strats as well, very interesting so far, I will post when fully translated, thank you!